The sharp scent of red spices and curry powder. Heat emanating from the fresh pieces of naan bread. The sound of silverware clattering against each other. 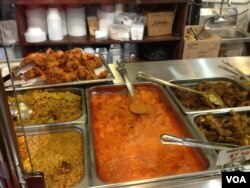 And the sight of native, desi food. I suddenly felt that a piece of me that had been empty for months was alive again. I was in New York, where I had traveled for fall break in search of a taste of home. I wanted to see all the famous sights of New York City of course, but I was most excited to visit the neighborhood of Jackson Heights. I had been told it was the hub for South Asian food and attire; a treat for all natives who want to seek home away from home. 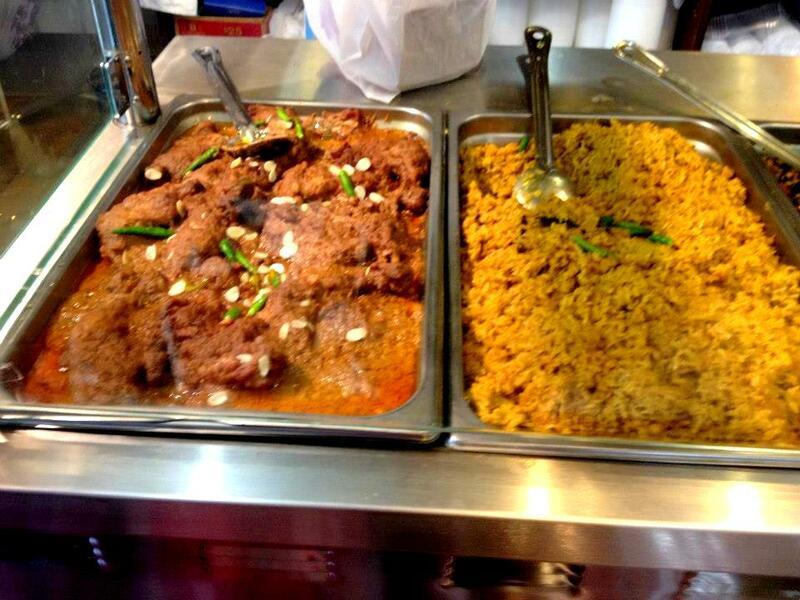 South Asia is known for its spicy, fiery food and wide variety of dishes. From the day we are born, we adore food. Memories, events and photo albums are incomplete without remembering the food and if anyone ever says they don’t like food - well, they are pariahs from that day on (trust me, I have tried it). Thus, when I came to America, it was hard for me to adjust to the bland, mild taste of pastas, pizzas and sandwiches. Every now and then, my taste buds started demanding a respite from the constant taste of cheese, tuna, lettuce and carrots, craving the more spicy chicken, beef, curry and green chilies. But until now, I had been unable to fulfill their wishes. 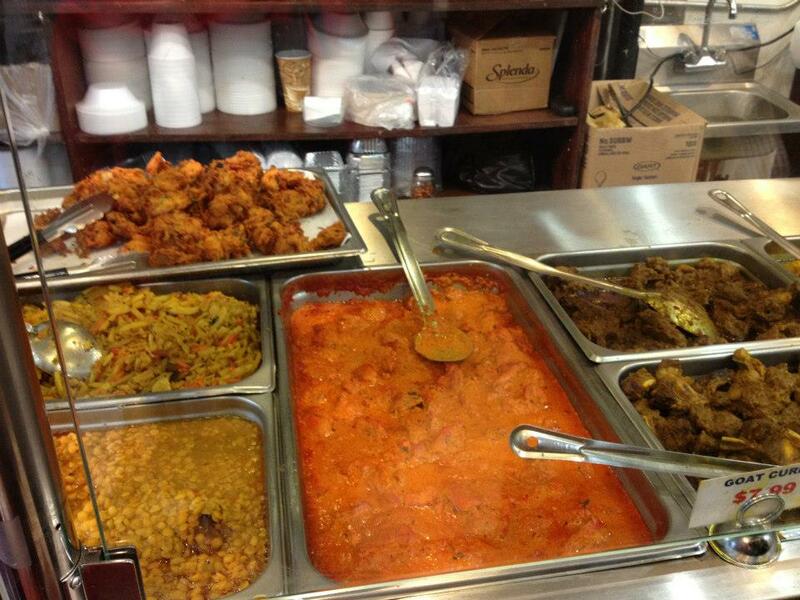 Other South Asian students who live in mainstream places like D.C., Chicago or California might think I’m crazy for going all the way to New York just for a taste of spicy curry, but that’s because they probably have places like that near where they live. 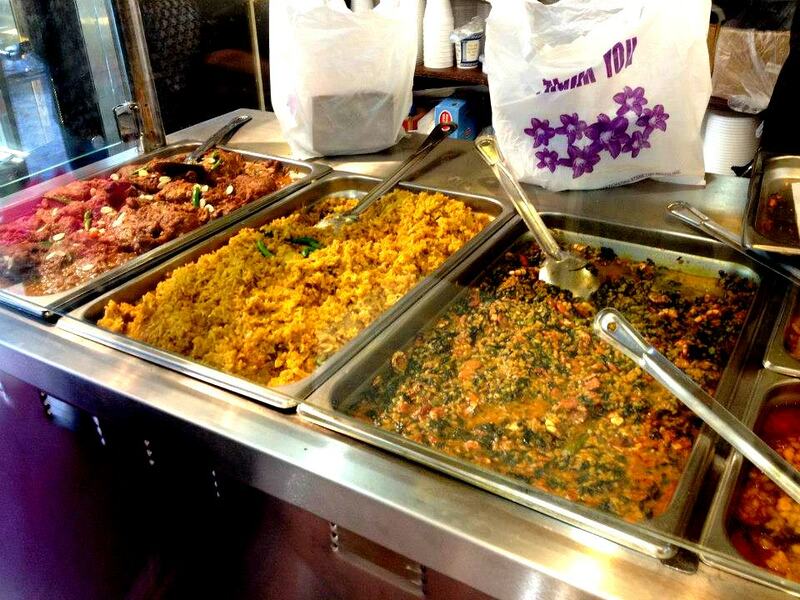 George Mason University in Virginia has traditional desi food available in the cafeteria every single day. 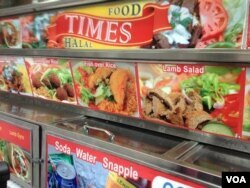 Even New Yorkers don’t have to travel to Jackson Heights for food - the streets in Times Square are lined with carts selling chicken gyro (a Greek dish popular among South Asians because of its spices). However, Mount Holyoke College is in tiny, remote South Hadley, Massachusetts. There it is impossible to satisfy such food cravings. Yes, we do have a few Indian restaurants nearby, and some South Asian students will go there when they become truly desperate for food from home. But it is not the same. Another problem I have is that there is a lot of American food that I can’t eat. A person of the Muslim faith is not permitted to eat chicken or meat unless it is halal; that is, slaughtered the Islamic way. 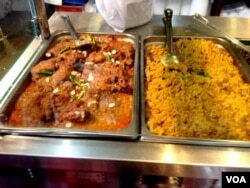 As hard as it is to find South Asian food in the area, it’s harder to find halal South Asian food. We actually do have a halal/kosher kitchen on campus. It's open to any student who wants to eat there instead of at one of the regular dining halls, and most Muslim students take advantage of it at least once in a while. They serve chicken and meat on Tuesdays and Thursdays, which is definitely helpful when one has not had chicken for days on end. 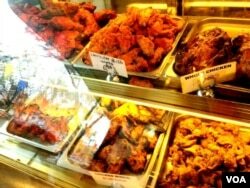 But the lack of spices and South Asian taste kills a lot of the excitement of getting meat. On most days, I just eat in one of the regular dining halls and have tuna sandwiches, cheese quesadillas, or veggie burgers. Therefore, I had been building up Jackson Heights in my mind as the savior – the place where I would finally be able to satisfy my cravings and eat anything I wanted without worry. It did not disappoint. 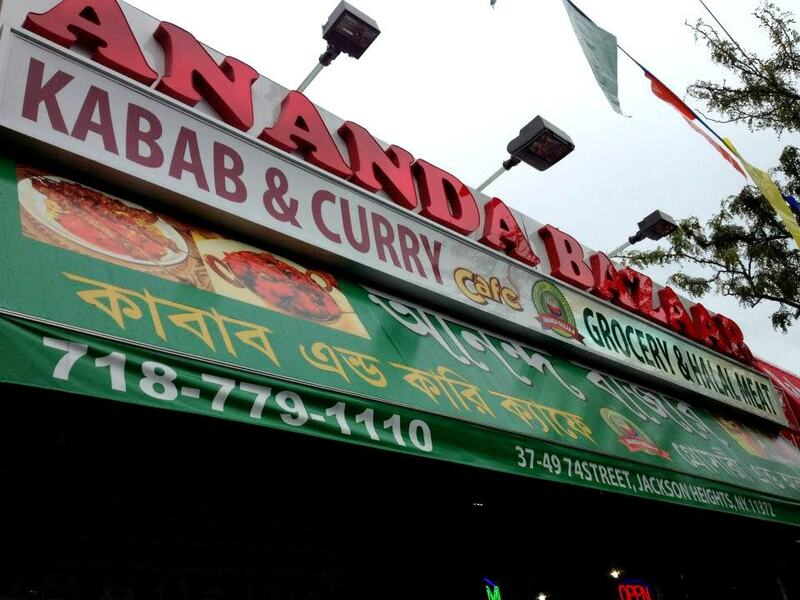 As soon as I got off the subway station, I was surrounded by desi restaurants, each with enticing names, banners and prices. My friends and I had many restaurants recommended to us beforehand, but we ended up just turning into the first place we saw, drawn by the power of South Asian food. We found a Bangladeshi restaurant where we stuffed ourselves with chicken biryani (a spicy rice dish), chicken tikka (marinated chicken), and parathas (pieces of baked bread). And how can a meal be complete without dessert? Jackson Heights did not disappoint us in that area either, and we managed to get our hands on some very delicious sweets for the happiness of our souls. 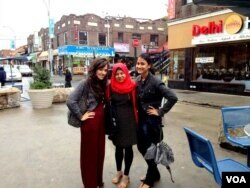 Fall break, New York and Jackson Heights proved to be the respite that I had been longing for. However, it is not possible to go to New York from South Hadley every time I start craving native food. So what is the solution? Only to control my cravings and wait for more vacations to come to my aid. I know that I am sacrificing food in order to get a good education, and that I will be stronger because of it.